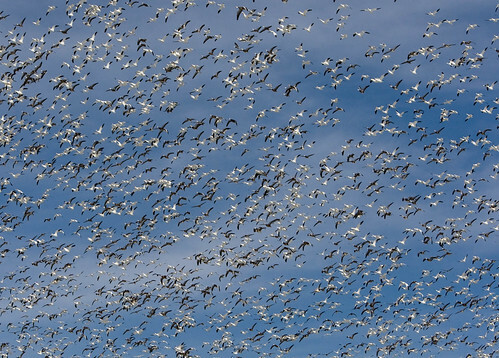 More than a million snow geese pass through Squaw Creek National Wildlife Refuge during their annual migration from their breeding grounds in Central Canada to their wintering grounds in Gulf of Mexico, covering a distance of about 4000 kms. 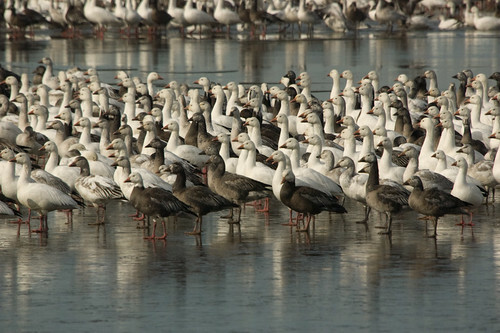 The refuge, which lies on the major migratory route of these birds, comprises about 30 sq. km. 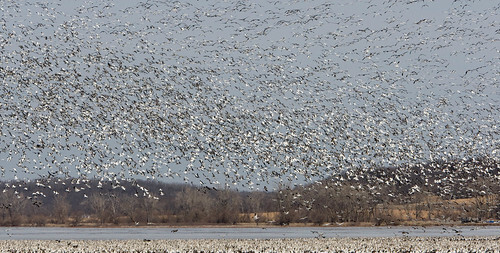 along the eastern edge of the Missouri River floodplain, south of Mound City, Missouri. 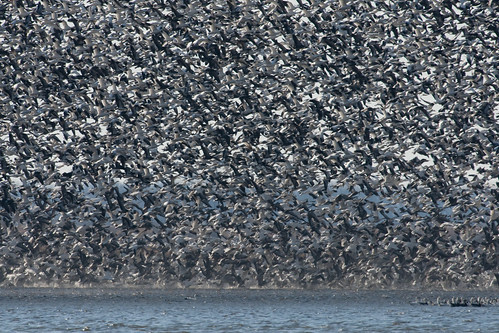 The amazing scene, though chaotic, is seen to be believed. Here are some pictures as they drop down from the sky, to stop at the Squaw Creek for rest, en-route to their final destination. 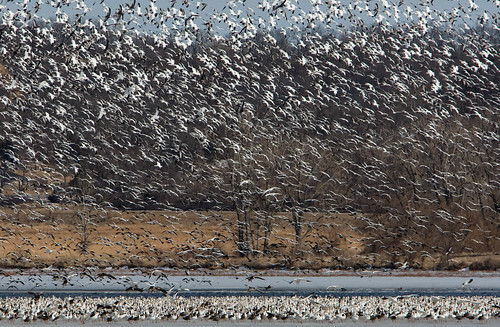 Reportedly during 2009 migration season about 1.2 million snow geese rested at the refuge. Credits: Anwar Beg for e-mailing me this story from Daily Mail. Thank you Mr. Beg. One wonders at the number of 'wonders' of the natural world which one misses in this short life. But thanks to Curious JM and his travelogue, some of these wonders are so easily finding their way into our knowledge base. One can't thank him enough for his 'curiosity' and effort. Thank you Aqeel for your nice comments. Words of praise are an encouragement to do better.